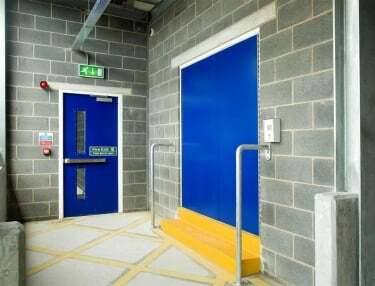 Automatic swing doors electrically operated for foot traffic available in a variety of designs. Suitable for frequent use and certified to 1,000,000 operation cycles. 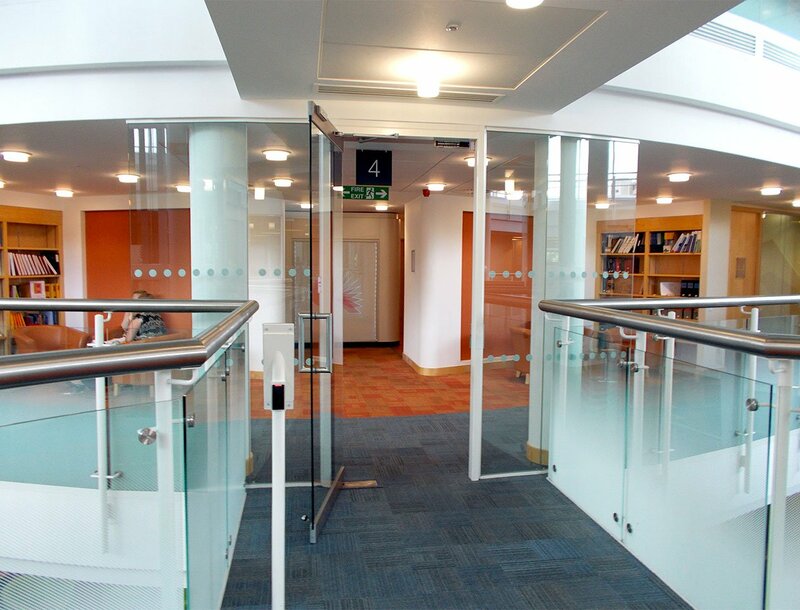 Swing door operators make doors suitable for areas with limited side space. Infrared sensors detect obstructions as part of integrated safety features. Recommended maximum width up to 3,000mm. HAG Automatic swing operators provide an electro-mechanical solution for anyone looking to automate swing doors in their premises. Perfect for industrial and commercial applications and can be used as a low energy system (Manual operation with assistance on demand). 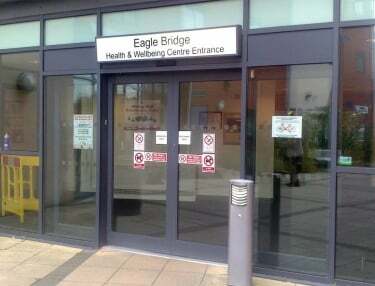 HAG Automatic doors can be used to help premises comply with the Equality Act 2010 and is also suitable for fire and smoke doors that are required to close automatically in the event of an alarm being triggered. 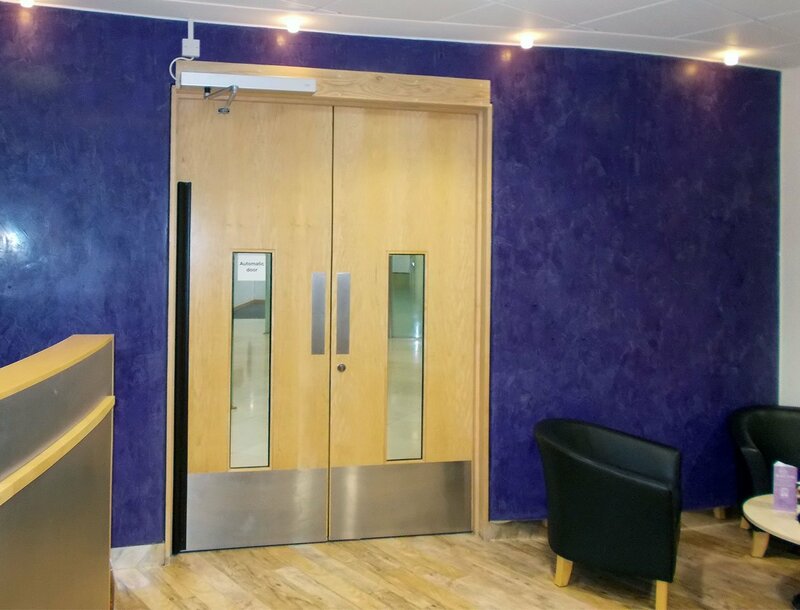 Widely used in retail, educational, healthcare and hospitality premises, our automatic doors have been tested and certified for up to a million operation cycles, making it suitable for high traffic areas. HAG Swing Operators can be used with door leafs up to 1,600mm wide and 250kg in weight. It can open doors to a maximum angle of 110°. 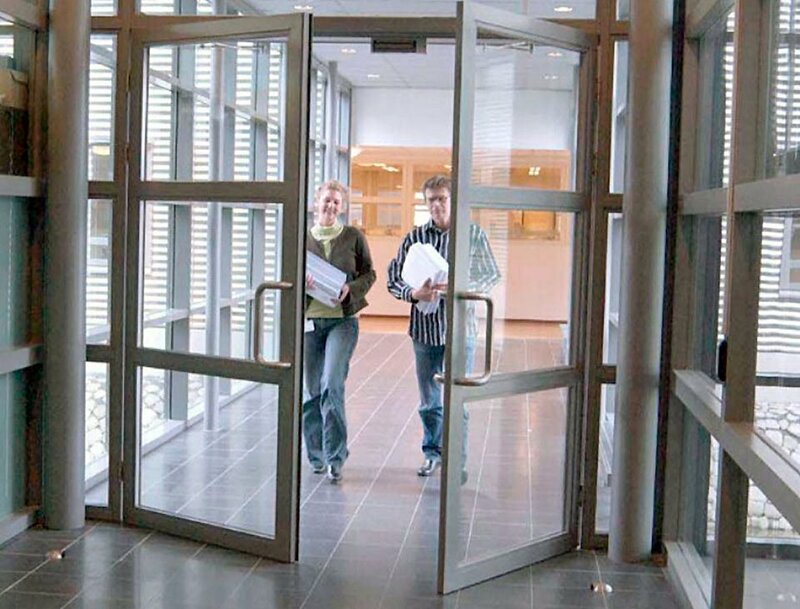 Automatic doors can open and close at a rate of up to 50°/second (or 27°/second in Low-Energy Mode). The standard hold-open time is 30 seconds (although this can be upgraded to 180s). 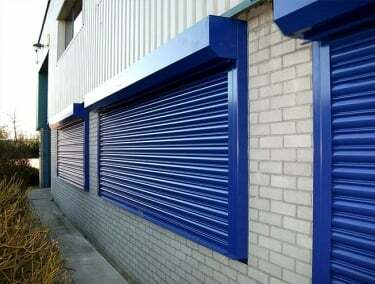 Unique built in wind loading protection, guarding against extreme weather and door blowouts. HAG Swing Operators can be configured to perform a variety of functions to match the user’s needs. Its multi-stage gearing provides low-noise operation, whilst low and full energy modes are available to suit both frequently and infrequently used doors. 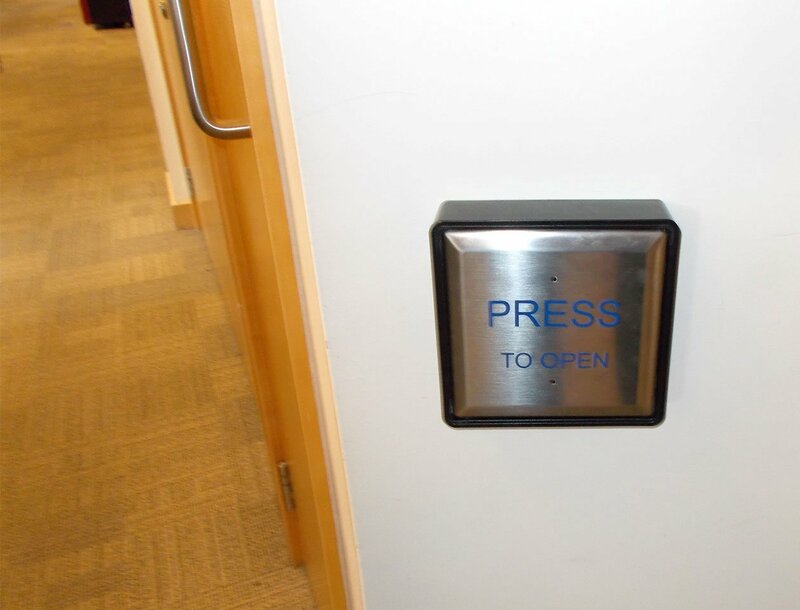 HAG automatic doors can be fitted with external program switches controlled via keys or keypads allowing you to easily restrict access to sensitive areas. It is also possible to upgrade the system to allow motor-locking for additional security outside normal operational hours and for emergency exits. Infrared sensors are used to detect any static and moving obstructions within range of automatic doors. This will prevent the doors opening until the obstruction is removed. 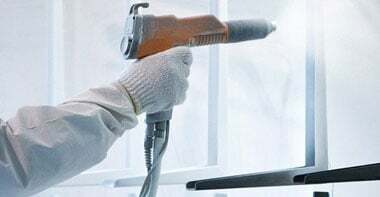 It is also possible to add Fire Protection functionality, including a smoke detector connection and manual reset function to ensure compliance with fire safety guidelines. Safety is maintained by a built in anti squashing system with an optional slowdown device to provide a safe and smooth operation. The HAG Swing Operator measures 685mm wide by 130mm deep by 70mm high. 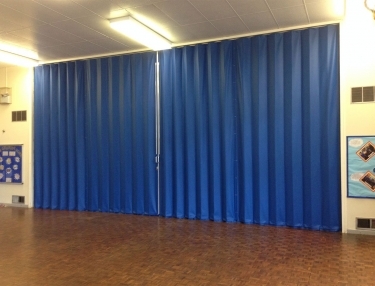 A number of different aluminium covers are available to match the user’s specification.